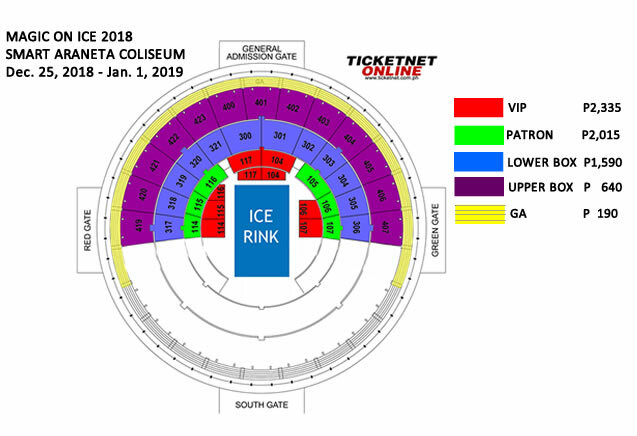 Coming to Manila for the first time after thrilling over 40 million people in 200 countries already, this dynamic fusion of mind-blowing illusions and thrilling ice acrobatics is Araneta Center’s Christmas offering running from Dec. 25 to Jan 1, 2019 at the Smart Araneta Coliseum. With critics lauding the show for “unique performances...(and) great fun for the whole family,” this acclaimed illusion spectacular is the new thing this year if you are tired of the usual fare. This show has everything – dramatic lighting; cutting-edge stagecraft; jaw-dropping feats of nearly super-human proportions. And if that’s not impressive enough, “Magic On Ice” features custom-designed illusions by the team that created effects for the legendary David Copperfield and Cirque Du Soleil. An exclusive pre-selling and 20% discount will be available to all Mastercard card holders from October 24 to November 2 via www.ticketnet.com.ph. (EDIT: Mastercard Promo has been extended until November 9!) Regular ticket selling from as low as P190 (Gen Ad) begins November 3 via Ticketnet counters and online. You may call 911-5555 for more information. Planetshakers 2019 Praise Party coming to Manila.